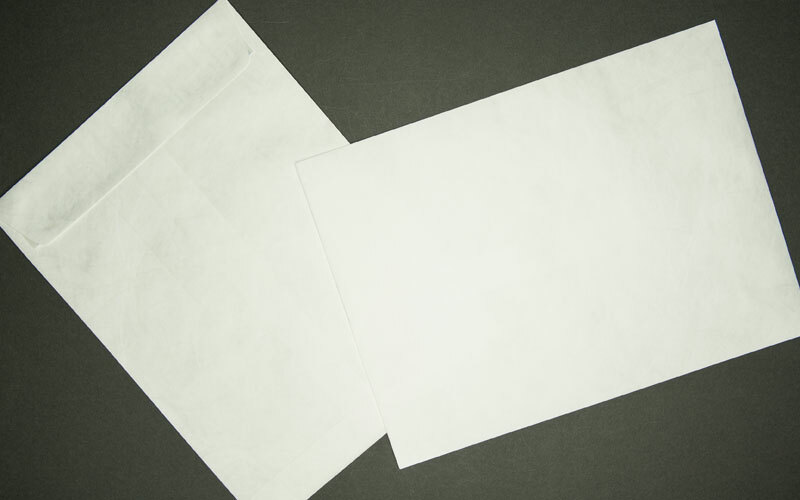 Home » In-stock Large Tyvek® Mailing Envelopes » Large Tyvek® Mailing Envelope - Plain White - Open End - 10" x 13"
Large Tyvek® Mailing Envelope - Plain White - Open End - 10" x 13"
10″ x 13″ Tyvek® Open-End Envelope with Strip & Seal Flap. Our Envelopes are available in standard sizes as well as custom sizes, custom material, your choice of sealing, and with custom printing. Please call Information Packaging for more printing information.